I really found this taupe shade to be pretty perfect. It isn’t as dark as OPI – YDKJ or Essie – Mink Muffs. Then it gets even more perfect when you see the flash of hidden shimmer! 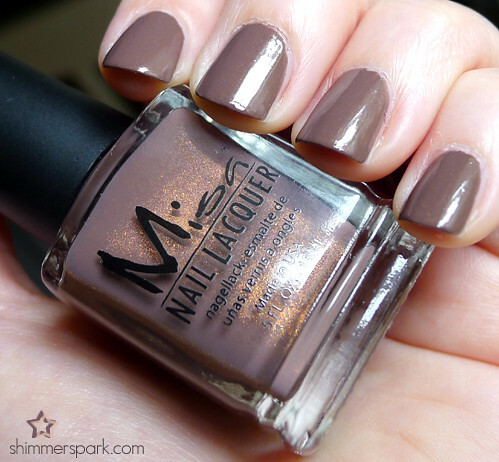 This entry was posted in general polish yumminess, swatches and tagged brown, hidden shimmer, lost to the world, misa, nail polish, shimmer, swatch, taupe, warm on October 22, 2012 by hollyshimmerspark.